Never camped before? Want to learn how to get started? 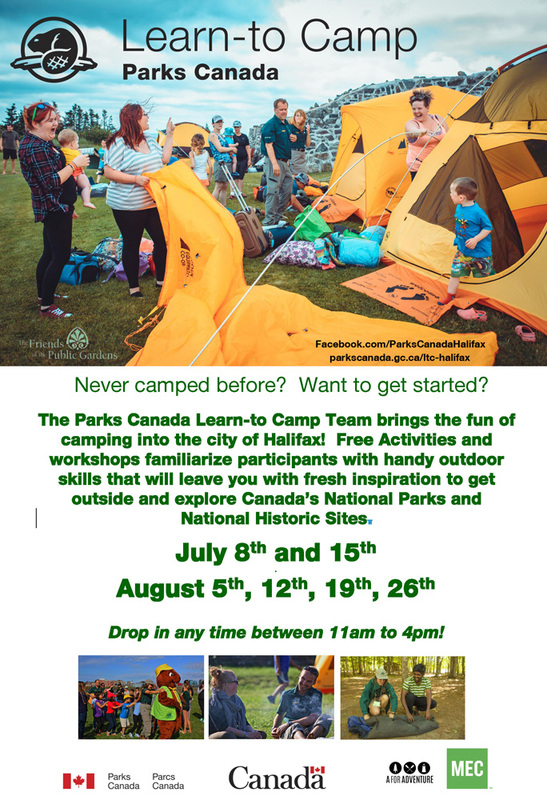 The Parks Canada Learn-to Camp Team brings the fun of camping into the city of Halifax! Activities and workshops familiarize participants with handy outdoor skills. Families are invited to drop in and out of the Learn-to Camp zone. Participants young and old will always leave with fresh inspiration to get outside and explore Canada’s National Parks and National Historic Sites. All performances / activities are free to Gardens visitors.